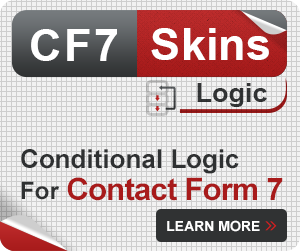 Thanks to the Special Mail Tags provided in Contact Form 7, it is possible to learn much more than just the information directly provided by the user when they submit a form. Increasingly you want to know more. Details like the date and time of the submission of the form, as well as the browser and IP information of the client, may be useful. This is where the Special Mail Tags come in handy. 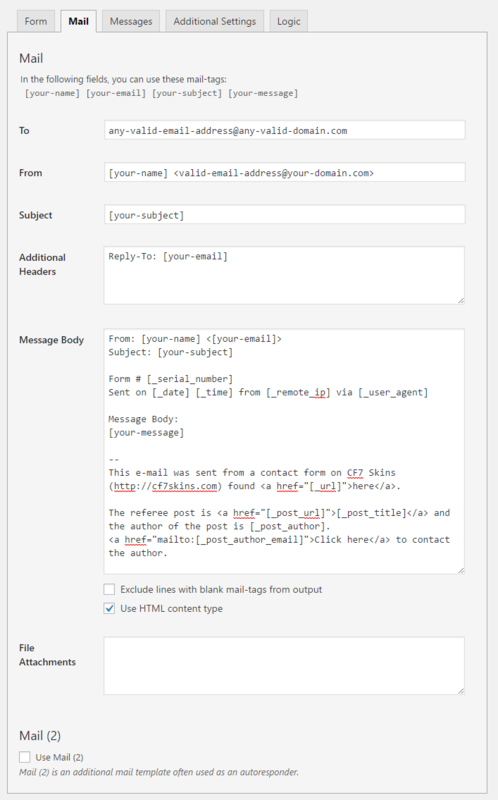 By the end of this article, you should be able to utilize these special mail tags to improve the Contact Form 7 emails you receive when users complete your forms. When do you use Special Mail Tags? There are two special mail tags – one each for date and time of the submission – that you can use to add this information to the email. The tag for the date of submission is [_date] and that for time is [_time]. 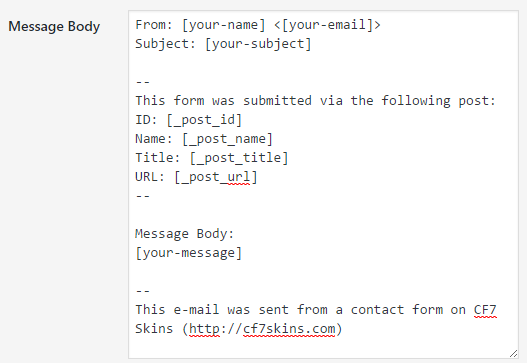 All you have to do to get the date and time of the form submission in the email is add the tags to the email body. There are two special mail tags that offer additional information regarding the users. One of them provides the IP address while the other provides the user agent details (information like browser and Operating System) of the user. You can use the [_remote_ip] tag to include the IP address of the user submitting the form in the email. 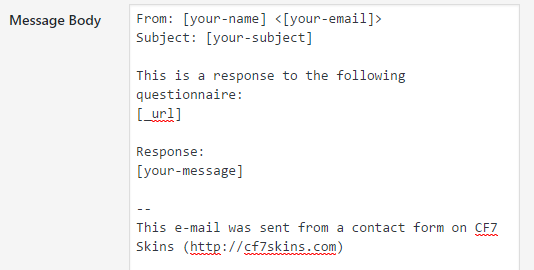 In the actual email, the sender’s client IP will replace this tag. This may be useful when you need to know the location of the client. You can use the [_user_agent] tag to include the user agent details of the client. The email will then include the device as well as the browser used by the client, which might be hugely important when doing techical support. Another thing that you might want in the email is information regarding the location that the user used to submit the form. This can range from the details of the post which contained the submitted form to the URL of the form itself. You can even get information about the author of the post containing the submitted form. 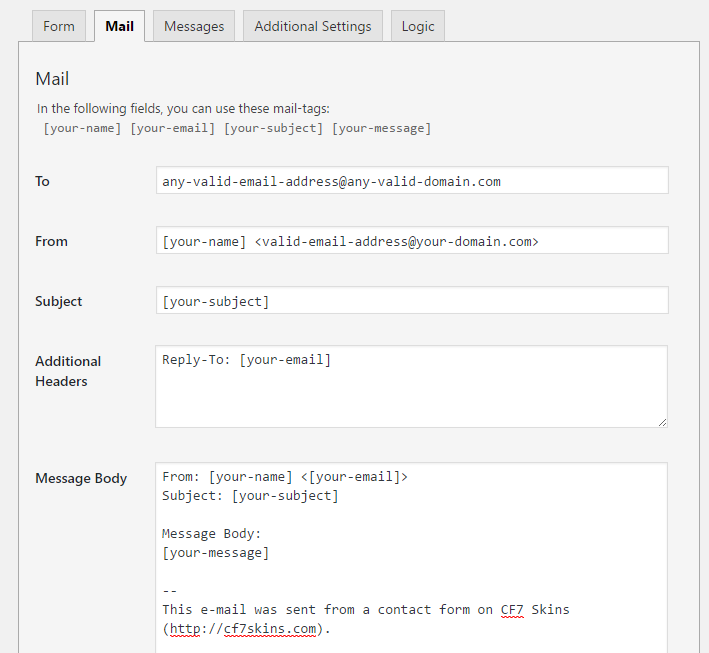 To include the URL of the submitted contact form, you can use the [_url] special mail tag. 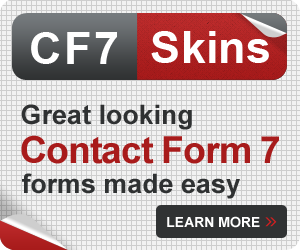 This can be very useful if you have all your Contact Form 7 forms submitted to a single email address. Using the URL of the form, you can easily identify which form the user submitted. It is not uncommon to use the same form on several pages. If you have done that as well, you may need a way to know which particular page the form was submitted from. Thanks to the special mail tags, there is a range of page information that you can send with the email on form submission. Currently, the available tags are [_post_id], [_post_name], [_post_title] and [_post_url]. Note: The [_post_name] tag gives the “slug“ of the post. Here is an example of these tags in action. You do not need to use all of them at once. You may use any number of the tags as needed. Now, in some cases, you might also want to know the details of the author of the post which contained the submitted form. For instance, feedback or review forms might require such information. There are two pieces of information regarding the author that you can get from the special mail tags – the name and the email address of the author. You can use the [_post_author] tag to include the name of the author of the post in the email and the [_post_author_email] tag for the email. Now, if you’re using just basic forms, all the above information might suffice, but if you have a lot of traffic on your site, you might want some sort of way to keep a track of the count of the submissions. An ideal way to do it would be by using serial numbers. Note: To use this feature, Flamingo 1.5+ is should be installed on your site. Using special mail tags, you can make sure you get that serial number in the email. When you use the [_serial_number] tag in the form, it will be replaced by a number in the email, whose value will automatically increase each time the form is submitted. Here is a practical example of how to use these tags together. The [_serial_number] tag is being used for the form number. The [_date], [_time], [_remote_ip] and [_user_agent] tags are used at the top for information about the sent form. The [_url], [_posy_url] and [_post_title] tags are used to reference the referee form and posts along with hyperlinks to navigate to them. 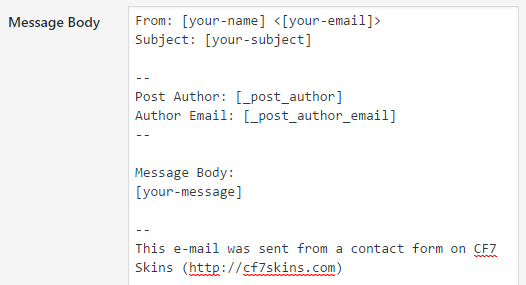 The [_post_author] and [_post_author_email] tags are being used to display the author info and for a means to contact the author directly. While the special mail tags provide a number of detailed information for you to use, it is important to only use them in proper conditions. It is up to you to protect the information of the client. Most importantly it is vital that you do not disclose information of users like IP address to any party without the consent of the user. 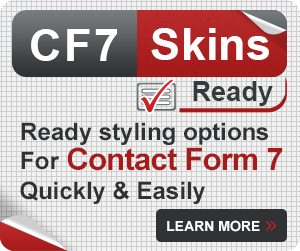 Now that you know how the special mail tags work in Contact Form 7, use them in your own form. Not a CF7 Skins user yet? Download it for free. 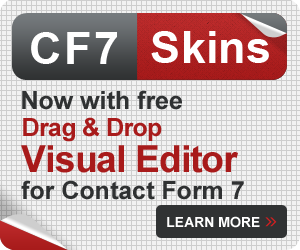 If you are using the free version of CF7 Skins, you can get in help via the CF7 Skins community and also the Contact Form 7 Support forum. 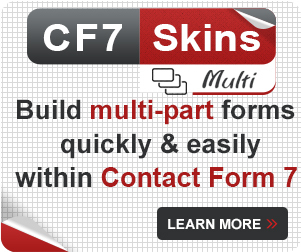 If you are using the premium version CF7 Skins Pro or any of our Add-ons then we provide Premium Email Support to deal with your questions and problems.